West Penwith or Belerion is the 'toe' at the far end of Cornwall, UK. It is dense with ancient sites, and this website is all about them. 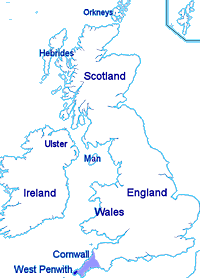 achievements of Britain's megalithic civilisation. For a one-page site summary, click here. West Penwith is roughly 16 x 12 km (10 x 8 miles) in size, bounded by sea-cliffs on three sides, and it has about 500 ancient sites, big and small. These include neolithic tor enclosures, cliff castles and quoits around 5,700 years old; stone circles, menhirs, cairns and mounds around 4,000 years old; and also carns, fogous, rounds, holy wells, early Christian crosses and churches. In the bronze age Penwith was well known as a source of tin, gold and copper. It lay at the hub of an Atlantic culture stretching from Portugal to Scandinavia, with its core area lying between Brittany, Ireland and the west coast of Britain. There was a system to the way Penwith's ancient sites were located and built. They were deliberately built in patterns of alignment with each other, forming a network of ancient sites knitted into an integral system across the peninsula. This is a major clue, suggesting their hidden purpose. What did the ancients know that we don't? This website contains evidence, maps, discoveries and thoughts on ancient sites' possible significance. Forthcoming research into astronomical orientations, intervisibility, dating and subtle energy will expand on this - that follows in due course. 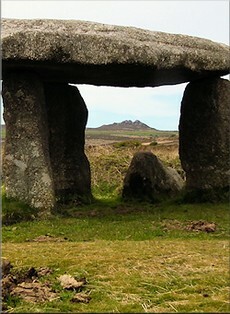 For more about Penwith's ancient sites, click here. For more on ancient site alignments, click here. For a site summary in a nutshell, click here. Text, website and most photos by Palden Jenkins. Grown on an organic farm near St Just in Penwith, Cornwall. It's about the ancient landscape and the where and why of megalithic sites in West Penwith. It offers a different view of the area's prehistory. It suggests why ancient sites were built and shaped as they were. 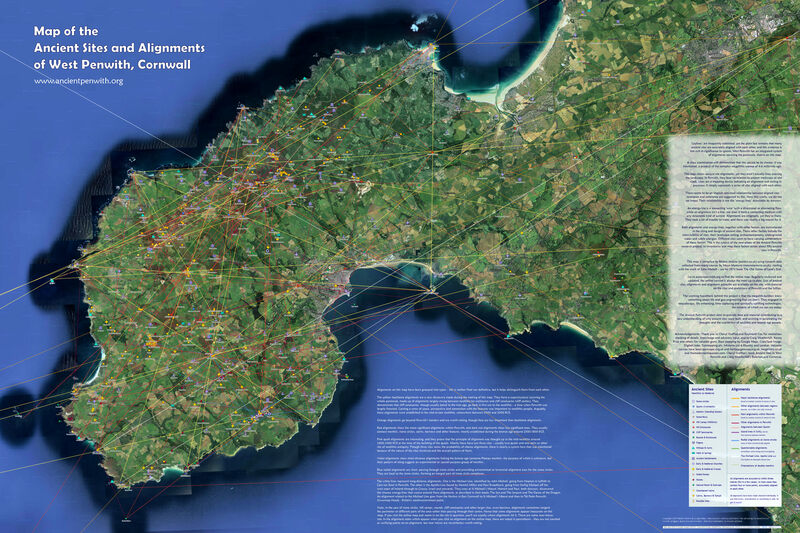 It proposes that Penwith's sites formed a complete system, a kind of large-scale geo-engineering project. As with archaeology, this is a work-in-progress. Whether or not time proves them correct, you'll find lots of interesting ideas here. Penwith's prehistory has long been researched by antiquarians, geomancers, dowsers and archaeologists. This site draws on their work and adds to it.